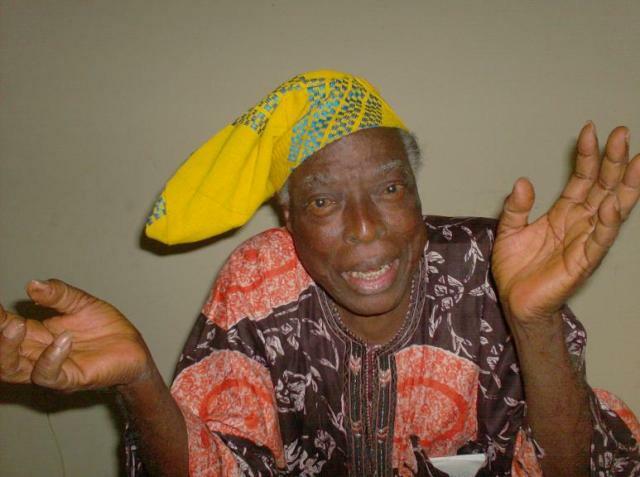 Alagba Adebayo Faleti died on Sunday 23rd July, 2017 at the ripe age of 86. 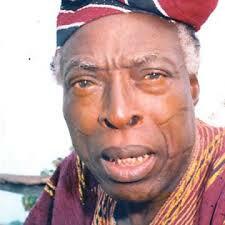 The arts and culture exponent was at the frontier of Nigeria’s arts, language and culture in his life time. 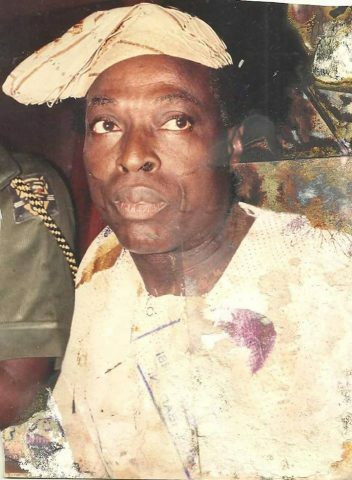 The late broadcaster, dramatist, playwright, essayist, columnist, cinema commentator, director and poet was a scion of a renowned illiterate poet in the old Oyo Kingdom in South West Nigeria. He quickly made advantageous the craft he learnt from his father to become a face that will hold sway in the cultural environment of the last 5 decades in Nigeria especially among the Yoruba speaking people of western Nigeria. In one of his famous interviews the renowned personality revealed some of his pains, gains and what fate taught him before emerging as a living legend. Your Africa’s Number 1 Celebrity Encounter blog, Asabeafrika brings out the interview from the archives. Enjoy! 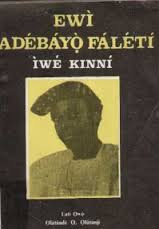 Studying some of your Ewi (poems), the tone portrays the image of a poet that is really challenging, fighting a cause for the people against the government’s misdeeds. What inspires your writing this kind of poems? I don’t think I challenge the people in authority as such in my poems. I might call attention to serious things. I know there was a time when I was writing serious indictments during the 1987 comeback of the military. The first time the civilian government will come after Obasanjo, I wrote a poem warning the politicians. I called the series ‘Awon Ehanna Oselu’ (the scoundrels in politics). I wrote six serious poems like Agba kii wa l’oja kori omo tuntun wo (when elders are around children should not die out of spite) and Nkan ton seni leekan (once beaten twice shy), and a lot of others. The government which came after saw it as an abuse on them. That was the time (Dr.Omololu) Olunloyo came to power. But it was actually replaying what happened before the first coup, before the terrible carnage which followed ‘Operation Wetie’! Then, I was very unhappy; I was the General Manager and the radio station allotted Sundays for my poems. These poems were castigating the intransigent, selfish and the nonchalant attitude of the politicians to what was happening. There were arson, killings all over the place. Then, when the party of Olunloyo came to power, he thought all the poems were directed at them, and because of that, I was moved from my job as the General Manager of Radio O-Y-O and to go to the cultural center as the Director of Arts and Culture. This did not bother me, in fact, to my joy everything I was preaching against came to pass. The military came all over again and I was restored to my position. I was not actually directing my poems at people or institutions but to politicians at that time. But they felt threatened because I remember Professor Wole Soyinka too wrote Opera won yo si. That was the satire by which the situation of the country was laughed at. You have lived a successful 74 years that is mainly dedicated to language, arts and culture. Are you fulfilled in this profession? I don’t know what you mean by lived successful years. It’s better said I have lived a life of adventure because it was not all the time successful. Though I am grateful to God, I think I am fulfilled. Somebody was asking me not too long ago my saddest and happiest day in life. I thought such a question was pre-emptive. As long as we are living, you might not have lived your happiest or your saddest day in life. I have had quite a lot of very happy days, happy memories. And also I have had some occasions of very sad memory. A sad memory which I may not easily forget was when as Controller of Programmes, a tape was played on the Broadcasting Corporation of Oyo state—Radio OYO which was attacking Cuban government. At the time we were friends of the Cubans. Cubans helped us quite a lot during the civil war. For anybody to abuse Fidel Castro at such a time, it was a terrible thing. 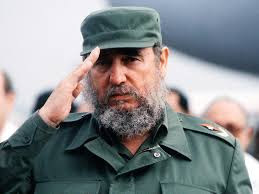 What actually happened was that Cuban rebels went to America and were recording tapes and were recording tapes of attack on Fidel Castro and sending it all over the world; they had the list of nearly all the radio stations in the world, and mine was a very popular radio station, the WNBS. It was very popular and all over the world then. As a Controller of Programmes, a sample tape was sent to me and when I listened to it I knew it was a bad tape in bad taste. I knew our station could not attack Cuba, so I marked it as NTTB (Not To Be Broadcast). Every recorded tape from overseas must first come to the. When the library has listened to it, it would be sent to me and that was how that tape was seized. I didn’t send it back to the library; I just kept it in my drawer and locked it off. But it was on an Ileya Public Holiday. I went gallivanting all over the place, driving round all the whole of the present Oyo state. The Cuban rebels continued sending more of these tapes that I didn’t know about. There was confusion, there was a religious group called ‘Old Gun’ which was sending tapes to us for religious broadcast. This tape was the same type of jacket with the Cuban’s tape. So, I think somebody just took the tape and began listening to it. The library just marked it ‘Send for broadcast’ and it was broadcast. The tape was full of all sorts of rubbish against Fidel Castro, and papers took it up. The Herald published in Ilorin at that time said ‘It was in bad tastes that the station owned by the government like Radio O.Y.O. would be transmitting something that is derogatory to the Cuban leader, Fidel Castro. 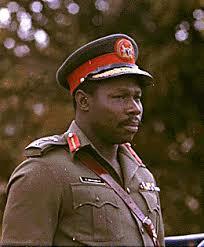 ’ Incidentally it was President Obasanjo who was in power then as military Head of State. 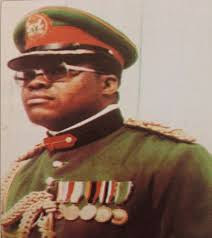 General Jemibewon was the governor of Oyo State at that time. When the thing got to the notice of the government, I think messages were sent down to the governor of Oyo state to investigate. They thought it was deliberate and I was put in detention. They didn’t know anything about new tapes that were sent; they kept on questioning me at the detention camp. And I think from my answers they understood definitely that that I knew nothing about it. But eventually after my release, I was retired for misjudgment. I went my way. Then it was the time FESTAC was being hosted, and I went as a consultant to the group representing Nigeria in drama. 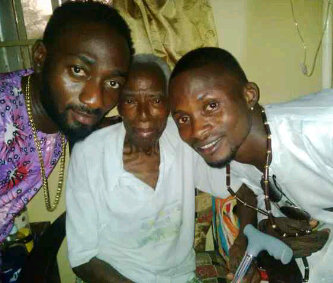 Eventually, the play was written by my friend, Wale Ogunyemi. Some weeks later, it was discovered the number of tapes sent by Cuban rebels in America and they discovered that I wasn’t guilty. I was called back to my position and what made me very unhappy was that they locked up my office and when my office was opened and I unlocked the drawer and saw the tapes with NTBB clearly written on it…I started crying. Oh! I was so sad. Suppose they have hung me for this, what was I to do? I was sad because those on duty at that night couldn’t differentiate a religious programm from a rebellious one. It was a very sad event in my life because I knew I wasn’t guilty. Another thing I can remember as a happy moment was after a turbulent period of disagreement with my boss in broadcasting I became the General Manager of the O.Y.O (Broadcasting Corporation) and that also made me cry. That is, you cry when you are happy and sad. I cried that I survived the ordeal which my detractors gave to me and that I eventually became General Manager. Many People recognize you to be a poet, an essayist and a broadcaster. But not so long ago you started taking up roles in films and since then your appearance seems to have come to stay in movies like Saworo Ide, Agogo Eewo and a lot of others. Can you tell us how you came into movies? It is the people of the new generation that think I just came into acting. No, they are all wrong. I started acting as a very young person, about the same time when Hubert Ogunde too started his own career. I have always been in and out of school, and when I finished my Standard Six, I spent six years before going to Secondary School. When I finished secondary school, I spent another six years before proceeding to study at U.I. (University of Ibadan) I was going in and out of school, so within those period I was acting. 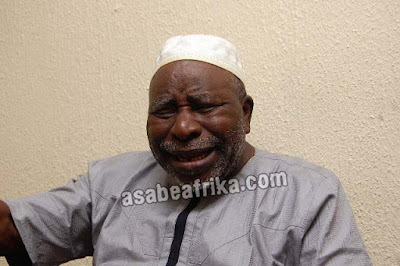 But I couldn’t keep on acting when I became the Executive Officer in the Programmes Department of the Broadcasting organization, either of WNTV, WNBS or Radio O.Y.O. In fact, I founded the Alebiosu Drama Group when I was in the service of WNTV/WNBS. 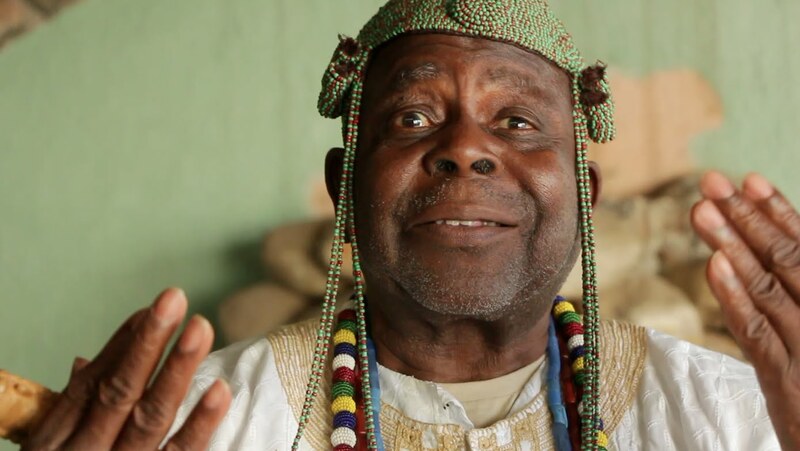 Before the Egbe Alebiosu, all the dialogue in drama was improvised and I had produced such top drama leaders like Oyin Adejobi, Duro Ladipo, Hubert Ogunde, Ayinla Olumegbon, Akin Ogungbe and so many people. But when my career was growing, I had to withdraw from active service in acting. My fear was that it was likely to become a scandal if my own group will act for me and I will have to approve their voucher and the group will get paid. They won’t know whether I took from the money at all because they were professionals, they were not mere amateurs. I paid them from my salary. Even at that time too, I could not take part in the formation of Traveling Theater Practitioners. I was instrumental in founding the group. I had to withdraw because if there is a dispute between any member of that of that group and then, the Broadcasting Corporation of Oyo State will have to be an arbiter. So, I could not be the complainant and the judge. I had a good opportunity when I retired from service, and then, I now concentrated on acting and directing. There were opportunities before Sawaro Ide which brought me back into limelight. I had directed a play, Agbaa Akin by Jimoh Aliu. I’d taken part in Ogungbe’s production, and I have been doing all these before Saworo Ide. It’s a misconception that I suddenly came into acting. I didn’t come into acting suddenly. When Ogungbe was writing his Yorube Ronu, I wrote a play which was then called Atoka (Pilot Bird), which was a satire on the situation of the time. The Nigerian Baptist Convention at the Silver Jubilee Anniversary commissioned this. At that time, Chief Ladoke Akintola was the Premier of Western Region, and as a member of the Baptist he was the chairman at that performance. I cleverly wrote the play so that the government in time would feel….it’s not that they were not actually chastised but there were scenes in the play putting some characters out which tried to justify the actions as if those leaders in government were not aware of what was actually happening. And those who watched the play were giving instruction to the minister who was part of that play to see that no such things happened again. At that time, that same government banned Yoruba Ronu. 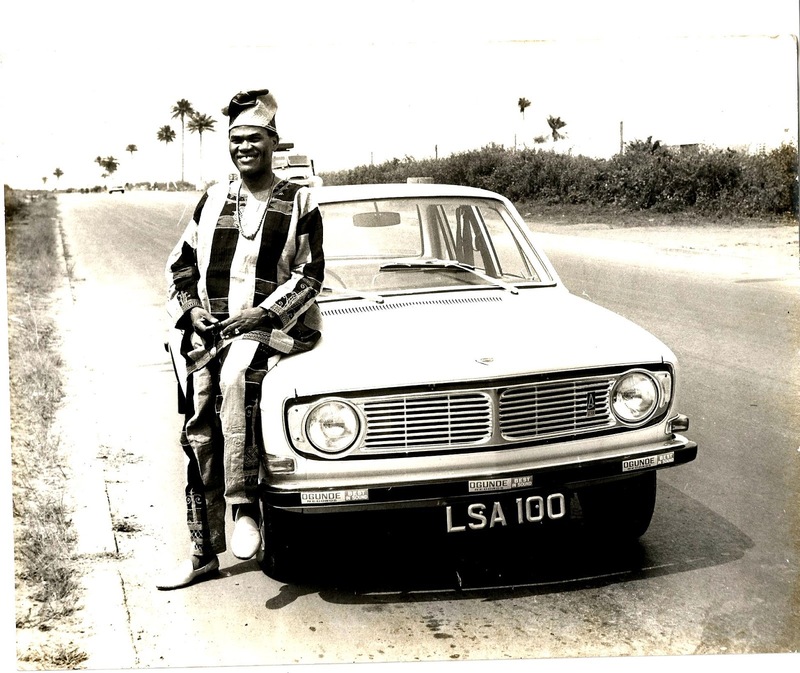 You can see how contemporary I could have been with Ogunde. I had a group in 1948 which was staging plays. And during the Easter of 1950 my group performed in Ogbomosho, Iseyin, Oyo—a situation which brought me into a clash with Alaafin of Oyo then, Oba Adeniran Adeyemi, the father of the present Alaafin of Oyo. If I was a known actor and playwright in 1949 and 1950 that means I was not coming into acting as a sporadic measure. Baba, do you think the Nigerian arts and culture in terms of money is getting what it actually deserves? Locally arts and culture are getting some gains in Nigeria. But it should be more than that. Arts and Culture, particularly drama and video or films, should get us more foreign earnings than we are having now. The government is not backing us sufficiently. What is happening now is that every artiste or drama group is to fend for itself. I think there should be tutelage, a growing period. I think the government should first of all, lead us on until we can be on our own. I have always suggested that what the government should do is to give us a take-off grant of say hundred million naira for film and video production, this may be a revolving loan in which case if you have that, you could produce two or three good films in a year, and then the government could control this. Another way which government could finance this is to introduce what they did for Education Tax Fund. They may call it Art Trust Fund or Film/Video Trust Fund, in which sense the government will compel the multinationals, rich companies like oil companies, insurance, banks, and a lot of others to contribute to film making by compelling them to sponsor at least two films a year. If this could be done, five or ten years time, the Nigerian Film industry will stand properly, and good films produced could stand for competition anywhere in the outside world. 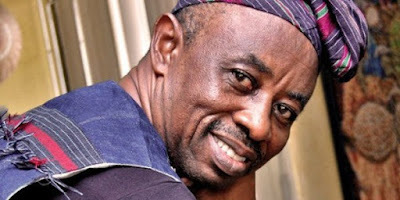 In Nigeria, we are not even known as film producers in the world except for a few dozen from Tunde Kelani’s Mainframe because we are not producing on Celluloid anymore. We are producing on video, and when we are actually having film festivals, they reckon with celluloid and that’s not coming with a little money. If the government can do this to encourage us, we will definitely get foreign earnings. Another thing is that the Films Censors Board should be properly re-organized completely; people who actually know what films and television are like will be put there to control and see the productions. And we are lucky to have quite a lot of retired television producers who can still be members of the Films Censors Board. 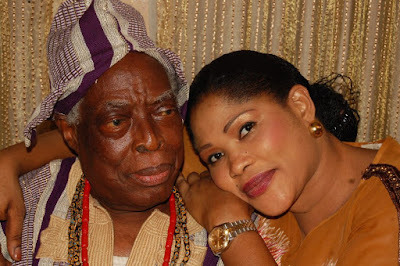 We have Ambassador Segun Olusola (Now Late) who had been in the TV industry for a long time. We have Christopher Kolade, Ayo Ogunlade, Bayo Sanda, Yinka Johnson, all of them. People like this must be the members of the Film Censors Board, who can determine what is good and what is not good due to their old experience in film productions and broadcasting. The Films Censors Board is composed of mainly civil servants who might never know anything in films and TV. These people allowed a lot of trash to come on air, and things which are rarely classical are classified for broadcast. You cannot bring sentiments into the assessment of our films. It’s like religion. For instance, in a film you will say babalawo or all these people who act fetish should not be broadcast because you are a Christian. You can’t do that! Again, they allowed a lot of debauchery in the industry. They allow people to dress indecently, they promote violence. These things are not marketable abroad. Again, there is a lot of child abuse; they make a young girl of ten to be the wife of a man of about fifty years of age, just because they want to pretend they are doing well. That’s in Maradona. And again, there is Omode Olowo, a young boy of ten insulting elders, acting he is an olowo (rich man). Is this what our culture is all about? Again, when they are using a Babalawo in a play, they will have to look for dilapidated houses. 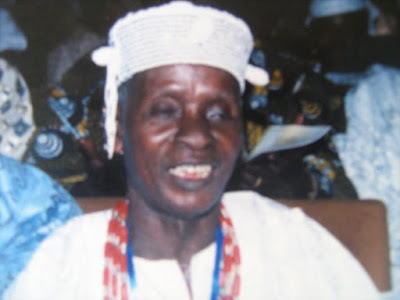 Do babalawo still live in dilapidated houses in Nigeria? 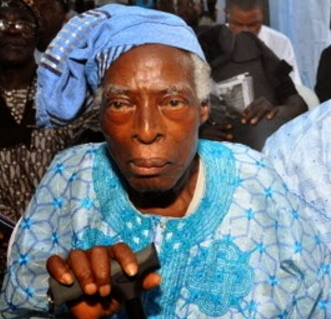 Is Eleburuibon who is a renowned babalawo still live in dilapidated house? I know he lives in a palace. There is also a young man in Oyo who is a babalawo, is he living in a ramshackle house? These are babalawos, I can mention a lot of them who are living in big houses; so, why showing a babalawo in a recent film living in a ram shackled house? Babalawos are not paupers. So these are the faults of Video and Film Censors Board which cannot make our films sell in other countries. We may make some money internally, but we need a lot for the films to thrive. We need a lot of external marketing and that is what is lacking now. With your tight schedule, do you still have the time to hunt? Who told you I am a hunter (laughs). I am not just a hunter like that, and I didn’t take hunting as a hobby at all. Hunting is my profession, because I have hunted with some of the very great hunters in Oyo State. I have hunted and had very big games at the National Park, but now my work has been getting some of my time. I’m still a hunter and in two months’ time, we are preparing with some great hunters in Oyo State for a hunting expedition. Who are your favorite actors/actresses in the Nigerian movies industry? 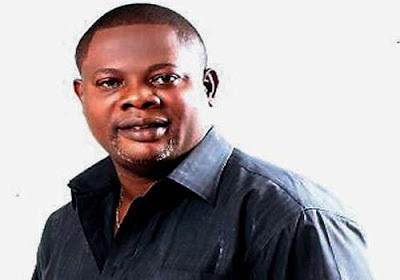 A lot of them are not doing badly, like this man, Yinka Quadri. Do you know him? He is very dynamic. He can play different roles, and that’s what we call an artiste. It’s not only the rich man part he can play, no. You will see him play the role of a serious person. 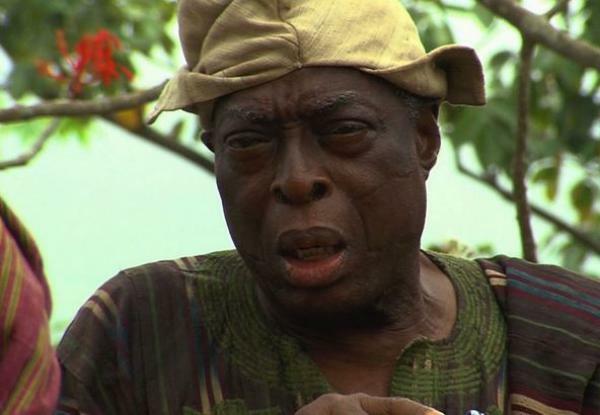 And whenever he plays a babalawo, I laugh at him because he plays it wonderfully well. 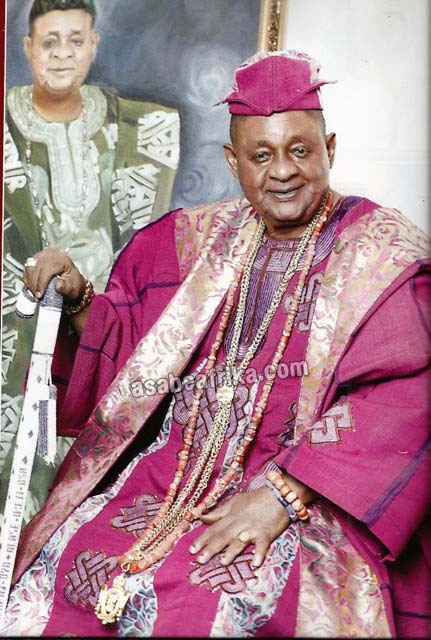 Again, there is Oga Bello and Jide Kosoko, to mention a few. What’s your advice for today’s artiste? An artiste does not start his career by looking for money. An artiste starts by looking for recognition and acceptance by the people. So, you have to be patient for people to acknowledge you. And once you are acknowledged, money will follow.